The OECD Due Diligence Guidance for Responsible Supply Chains of Minerals from Conflict-Affected and High-Risk Areas was developed in 2010 by a multi-stakeholder working group of industry, government and civil society members. The guidance is a series of voluntary recommendations for companies which suggest how management systems, source and risk information, audit and transparency of reports can make sourcing in higher risk areas possible and sustainable. This is explained in ‘5 steps’ which become necessary if an initial ‘red flag’ assessment highlights concerns or uncertainty. The Guidance is flexible and can be adapted as appropriate to local situations and company size but envisages that the standards outlined in Annex II of the Guidance will be adopted by the supply chain. The focus of the Guidance is avoiding contributing to human rights abuses, conflict or other risks such as money laundering. The OECD Guidance is referred to, or is the basis of, national legislation on minerals in many jurisdictions. The International Tin Association contributed to the drafting of the guidance and remains on the OECD Multi-Stakeholder Governance committee to date. The Guidance has remained generally unaltered since original publication but was updated in 2016 in order to emphasise that due diligence is expected on all minerals, in all areas of the world, not only for 3T’s from Africa. There are many schemes which claim to apply due diligence across various industries but not all have been assessed. , A detailed independent assessment by the OECD recently concluded that the standards of the ITSCI Programme are 100% aligned with the 5 Step due diligence recommendations, which you can find here. Regulation (EU) 2017/821 of 17 May 2017 brings into force supply chain due diligence obligations for EU importers of tin, tantalum and tungsten and their ores originating from conflict-affected and high-risk areas (CAHRA’s) which are defined as; ‘areas in a state of armed conflict or fragile post-conflict as well as areas witnessing weak or non-existent governance and security, such as failed states, and widespread and systematic violations of international law, including human rights abuses’. The objective is to encourage responsible sourcing by companies in the EU, although it only applies mandatory actions to upstream and some downstream imports(for example alloys and chemicals), leaving due diligence by downstream product manufacturers and importers voluntary. The main requirements will apply from 1 January 2021 and are based around the OECD Guidance although with a different CAHRA definition. Importers of the products in the table below will need to report to the authorities the source of their metals, provide an assessment of the CAHRA status of the source, and a relevant audit report. Some expectations of this regulation would be automatically accepted as fulfilled in the case of companies who are particpants in an industry programme such as ITSCI, aligned with the OECD Guidance. In 2010, President Obama signed the Dodd-Frank Wall Street Reform and Consumer Protection Act (DF) into Law. One section (1502) of DF requires US companies who report to the US Securities and Exchange Commission (SEC) to disclose whether the columbite-tantalite (coltan), cassiterite, wolframite or gold used to make their products may have funded armed groups. DF 1502 defines the mining area of concern to be the DRC and all adjoining countries which tended to lead to downstream companies avoiding all purchases from the region and a de-facto embargo, even of traceable conflict-free minerals. DF 1502 is implemented by the SEC which published reporting rules on 22nd Aug 2012, however, there have been significant efforts to push back some of the conflict minerals provisions and in April 2017 the SEC suspended enforcement of part of the ‘conflict mineral’ rule. The controversial identification of ‘DRC conflict free’ is also unnecessary. 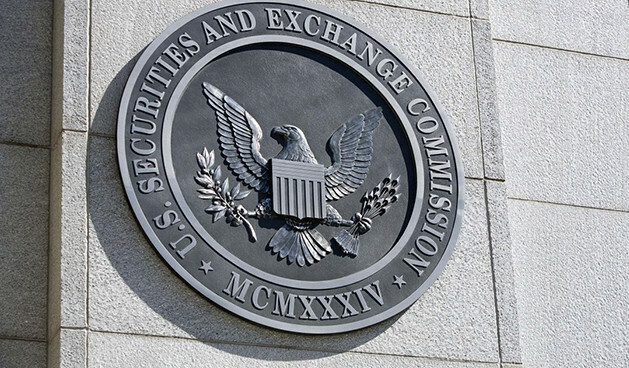 Relevant Specialised Disclosure (SD) filings of US companies can be searched at the SEC EDGAR Facility. While many US downstream companies rely on audits of smelters by the Responsible Minerals Assurance Process (RMAP, previously the Conflict-Free Smelter Program CFSP) or equivalent systems, some also make their own checks on incidents reported by ITSCI and other NGO sources by directly engaging with us. Information on DF related incidents are provided to Associate ITSCI members. The Responsible Minerals Assurance Process (RMAP) is a smelter auditing program, previously known as the Conflict-Free Smelter Program (CFSP), which was developed by the Electronic Industry Citizenship Coalition (EICC) and the Global e-Sustainability Initiative (GeSI) in 2009. 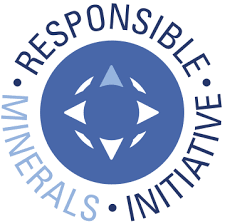 It is now part of the Responsible Minerals Initiative (RMI). As the CFSP, audits were conducted with a focus on Dodd Frank requirements and high risk areas limited to DRC and adjoining countries. More recently, the RMAP is being revised to align more closely with the OECD Guidance. Smelters found to be compliant are listed publically although there are no details of the audit findings available. Downstream companies base their evaluation of risks in the supply chain on smelter listings. Minerals monitored and traced by ITSCI are almost always delivered to CFSP compliant smelters unless better commercial terms are available elsewhere. 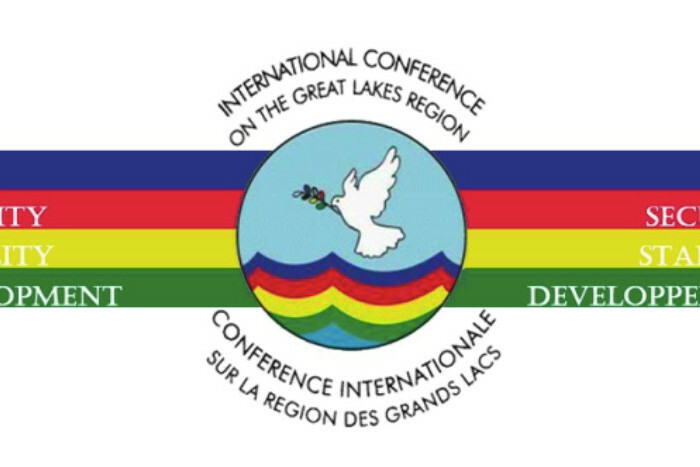 The International Conference on the Great Lakes Region (ICGLR) was created in 2002 to promote peace in the African Great Lakes Region through an inter-governmental process. One challenge recognised related to mineral trading and the Regional Initiative against the Illegal Exploitation of Natural Resources (RINR) was established to fight this. The RNIR has six tools; legislative harmonisation, whistleblowing, regional minerals flow database, implementing EITI, formalisation and the Regional Certification Mechanism (RCM). Although supported by several donors, the implementation of the RINR has been challenging. Within the RCM the burden of proof falls primarily on exporters, secondly on Governments, although designed for implementation by government as the primary actors. This contrasts with the focus of the OECD Guidance and ITSCI on responsibility of supply chain operators with support of government agents. RINR and ITSCI have a common objective of limiting the ability for armed groups to source financing from the production and trade of minerals and our Memorandum of Understanding recognises synergies between the two initiatives, and, that ITSCI is recognized as suitable for use within the framework of the RCM. The implementation of ITSCI on the ground has provided the traceability for the issuance of ICGLR export certificates. 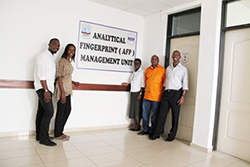 The German Federal Institute for Geosciences and Natural Resources (BGR) has been developing the Analytical Fingerprint (AFP) approach since 2006. AFP refers to scientific test methodology that can be used to check the otherwise documented origin of minerals, which is designed as an optional and additional origin assurance mechanism that can support day-to-day traceability. AFP aims to compares a mineral sample from a test lot to reference samples from the declared origin which are stored in a database using characteristic geochemical features and complex specified statistics. BGR aims to make AFP available in central Africa between 2011-2019 through transfer of skills, technology, and management. The AFP has not yet been used to verify mineral sources for businesses. The Certified Trading Chains (CTC) approach of the German Federal Institute for Geosciences and Natural Resources (BGR) was developed in 2007-2008, implemented at a pilot scale in Rwanda in 2009-2011, and, in the DRC between 2009-2016. The objective was to certify ‘ethical’ production and trade, while acknowledging challenges arising from artisanal mining. The design of CTC emphasised process rather than demanding unachievable performance targets but comprised of quite an extensive number of certification standards relating to the principles of; Traceability and Transparency, Labour and Working Conditions, Security, Community Development and Environmental Protection. ITSCI is an accepted approach under the traceability component. A small number of CTC audits have been reported in the past.